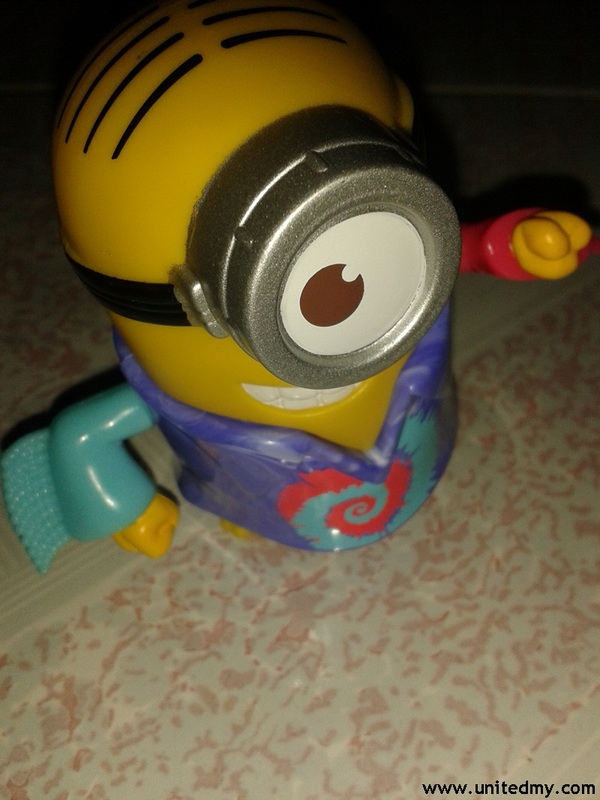 Pride itself to be first in the world introducing a distribution minion toys for each customer purchasing happy meal. Never had a happy meal set at any McDonald's restaurant in my entire childhood. 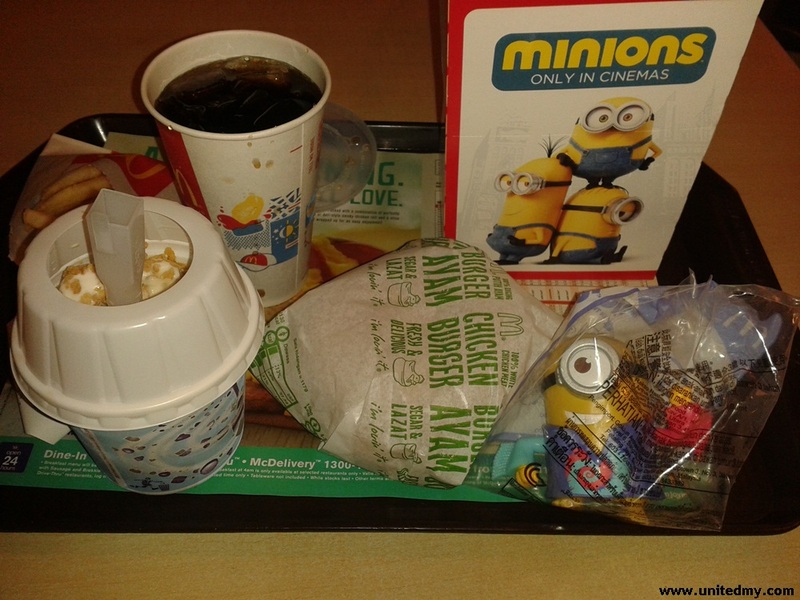 Adult now, the happy meal is not for me anymore. Perhaps, minion toy convinced me. Still does not make any sense ordering happy meal just for a toy. Luckily, the order taker did not ask for my identification card because only a kids could order a happy meal. In order to keep my cool, I ordered a banana toffee Mcflurry. I guess it will act as a disguise / awkward proof vest from just ordering a one happy meal. When the small cup Coca-cola appeared, I was like this is not happening. I was like you give an adult a small-cup Coca-cola. The people lining at the back of me like "what a weirdo". It tasted like Coca-cola Zero though It good to know that McDonalds Malaysia is adopting a much more healthier carbonated drink for the young. I know one if it was the Red Coca-cola with lots of sugar. Do you know It happened to me that they actually missed out the minion toy until I started to question them where they hide my minion toy ? Are they trying to take my minion toy away quietly to add in their minion collection or they just naturally think that I am not interested because I am a kids anymore. At the back of the minion written something like, " Universal studio, for McDonalds, made from China " . Consider this as a free gift for a RM6 ++ happy meal. There are 9 different more out there. If you ask me will I collect all of them, I need to told you this I have no more intention ordering another happy meal. Minion 2015 movie will be on silver screen July 12. Oh man, this movie could humor every walk of life. Still remember a middle-age guys made a epic laughing so hard in front of my seat could barely out of my memory. This time minions is finding a new master before Mr Gru is minion master. I think something is not right, oh yes, the movie is " Despicable Me " instead of Minion.